ELIZABETH CITY, NC – The revamped and updated 2015 Chrysler 200 is universally known as a great vehicle, and now there are independent ratings that prove that it is indeed one of the safest vehicles currently on the road! 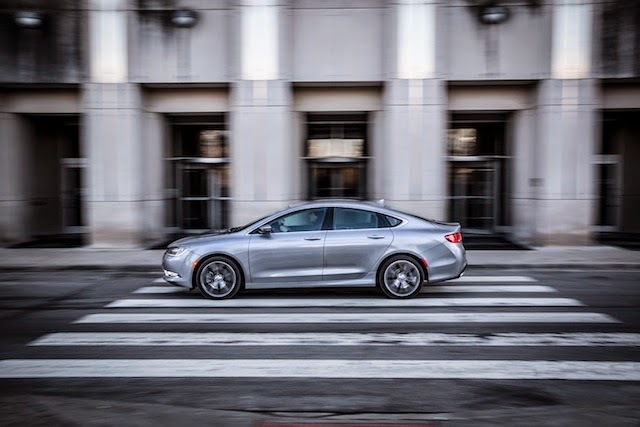 The IIHS, (Insurance Institute for Highway Safety), has named the brand-new 2015 Chrysler 200 a 2014 Top Safety Pick+, its current highest rating available. IIHS President Adrian Lund says, “The 200 aced the challenging small overlap front test with a good rating in every measurement category. Chrysler should also be commended for offering forward collision warning and autonomous braking on this mainstream midsize car.” Pretty exciting huh? We think so! Al Gardner, President and CEO of Chrysler Brand, Chrysler Group LLC, said, “With a new nine-speed transmission, innovative available all-wheel-drive system and 60 safety security features, the IIHS Top Safety Pick+ rating for the new 200 is the icing on the cake!” The 2015 Chrysler 200 takes home top IIHS honors for safety, and we could not be more excited to offer such an AMAZING vehicle for our customers! Wonderful! Safety is the first thing I pay attention to while buying a car. Especially when it comes to air bags because when you purchase a car that was in an accident there is a high risk to get into a fraud. Very often mechanics install an airbag taken from another car to receive extra money, and the insured person is exposed to excessive risk. For this reason I use https://www.faxvin.com/vin-decoder/mercedes-benz where I check vehicle identification number. This service provides a third-party validation of accidents history, odometer readings, recalls, defects, damages, repossession records, theft and recovery records, mileage rollback, vehicle specifications. Hope it will help you too!